A vision born from the pure love of driving, Badlands Motorsports Resort is not simply a racetrack. 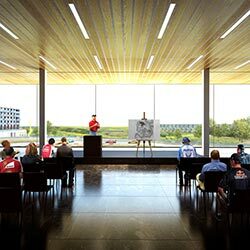 It is plan for a motorsports facility that is sustainable, economically viable, and integral to the community that surrounds it. 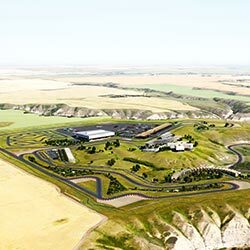 At the forefront, it is a comprehensive world-class Motorsports Facility that will engage motorists in Southern Alberta and attract drivers from around the globe. Integrated with this facility are plans for a multi-faceted destination that will anchor Alberta’s fastest growing tourism region, the Canadian Badlands. More than a decade in the making, many key pieces of the development are already in place. Land for the development has been purchased, re-zoning and Area Structure Plan By-Laws for that land have been passed in Kneehill County, and a Comprehensive Site Development Plan and sub-division approval are in place. A decade in the making, our team combines passion with relevant experience and commitment to change Alberta tourism and motorsports. 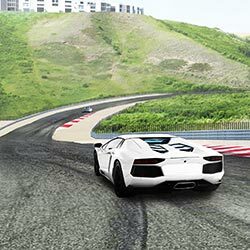 An all-encompassing motorsports facility designed by the renowned Alan Wilson for a 425 acre section of the Canadian Badlands. Badlands Motorsports Resort will be accessible to all drivers via facility rentals, visitor programs, and exclusive membership.